It is still a buyer’s market in the luxury home market per the Institute for Luxury Home Marketing (ILHM), with a Market Action Index (MAI) at 28. The MAI measures available supply relative to the current level of demand. However, the current index is very close to 30, which is considered a seller’s market. As reported by the IHLM on Nov. 10, 2013, home prices have remained stable over the last few weeks with a median price of $1.27 million, which represents close to a 10 percent increase since the beginning of 2013. These statistics support upward pressure in this market as house prices rebound and buyers and sellers are reevaluating their goals. The jumbo market may also expand in volume if Fannie Mae and Freddie Mac reduce the loan maximums from the current level of $417,000. This has been suggested by Edward DeMarco, acting director of the Federal Housing Finance Agency, as part of a strategy to lessen federal involvement in mortgage lending. Overall, Starkey Mortgage sees the jumbo market consisting of financially-savvy borrowers who expect full service at the lowest cost. Generally, these borrowers do not pay cash because the cost of funds is still lower than what they earn on their investments. A smart marketing strategy for listing and buyer’s agents is to align with lenders, such as Starkey Mortgage, who offer a full array of jumbo products and understand how the mortgage fits into an individual’s financial plan. With the luxury market expanding, lenders are expanding their product diversity to accommodate this growth. Starkey Mortgage is a strong jumbo lender with programs that cover lending for unique properties, accommodate complex income scenarios and offer asset-based lending. Asset-based lending includes pledged assets as collateral and asset depletion is used in income calculations. In addition to product diversity, lenders must possess the ability to offer exception underwriting, which is often referred to as “common sense lending”. It is important that today’s jumbo borrowers understand there are more viable options in the marketplace for them to accomplish their goals. Starkey Mortgage provides in-house processing and underwriting and prides itself on timely closings and competitive rates. 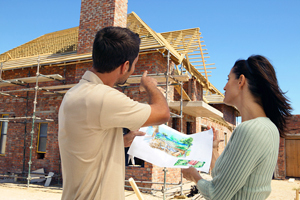 Starkey exercises controlled growth and works closely with home buyers and builders to give them an assured experience. For more information on Starkey’s East Region Builder Services Division, please contact North Carolina’s senior vice president and regional manager, Debra Watt, at dwatt@starkeymtg.com, 704-246-0132 or visit www.starkeybuilderservices.com. Equal Housing Lender. WR Starkey Mortgage, LLP NMLSR# 2146, 10800 Sikes Place, Suite 110, Charlotte, NC 28277. Branch NMLSR #93518, Branch License #L-112550-102, SC License #MLB-93518. Phone: 704.849.2125. This entry was posted in New Home News, North Carolina, South Carolina and tagged mortgages, Starkey Builder Services on November 20, 2013 by Starkey Mortgage. In everything we do, we believe people are the key. Our aim is to create loyalty and long-term relationships with our customers as well as our employees. At Starkey Mortgage (WR Starkey Mortgage, LLP NMLSR#2146), we pay attention to the needs of the people we serve and strive to take the uncertainty and stress out of the home financing process. We understand what our clients really want.